MD: If the handle fits the eye, you must acquit the guy | Jon Katz, P.C. 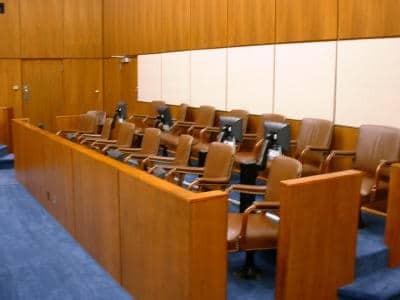 In some courthouses in Maryland, prosecutors often offer a plea deal involving a not guilty plea on an agreed statement of facts rather than a straight-out guilty plea. This approach often seems to be more a form of habit than anything else to which judges, prosecutors and defense lawyers are accustomed, and this approach gives defendants an opportunity to move for judgement of acquittal based on insufficient evidence, and to appeal if the trial judge determines that the evidence is sufficient to convict. If a defendant wants to settle his or her criminal case, a not guilty on an agreed statement of facts is preferable to a straight-out guilty plea, because if the judge grants a motion for judgment of acquittal on the stipulated facts, the defendant is acquitted. Matthew Polk learned the benefit of such a plea — versus a straight-out guilty plea — two weeks ago. He entered a not guilty plea on an agreed statement of facts on an allegation of possessing a concealed dangerous weapon, a knife. The trial judge denied his motion for judgment of acquittal, but Maryland’s intermediate appellate court reversed his conviction, finding that the knife was not concealed, because its handle was visible to the cop involved. Polk v. Maryland, ___ Md. App. ___ (Dec. 3, 2008). As to the unusual language in the court’s opinion, that is par for the course of the author, retired judge Charles E. Moylan, Jr. Jon Katz.